Lighten up for a clean look this spring with three pro-approved day-to-weekend outfits. 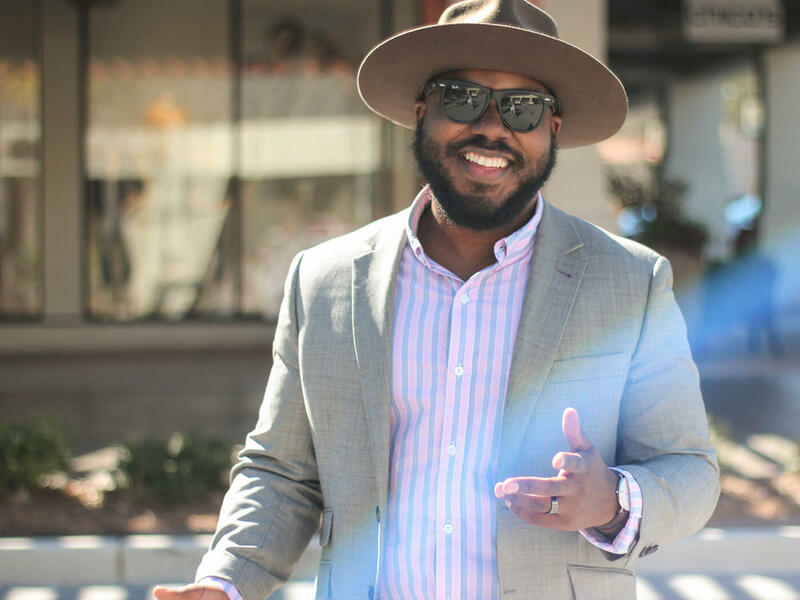 We caught up with Kelvin Davis, founder of breakout menswear blog Notoriously Dapper, author & street style guru, to show you how to infuse lighter colors into your wardrobe. Keep reading to see the Notoriously Dapper’s three suggested looks for trying lighter colors. For this light-blue Oxford shirt, I decided to go with a khaki cotton suit. It’s breathable for the warm spring weather and can transition you right into summer. It helps the color stand on its own while also enhancing your sophistication. 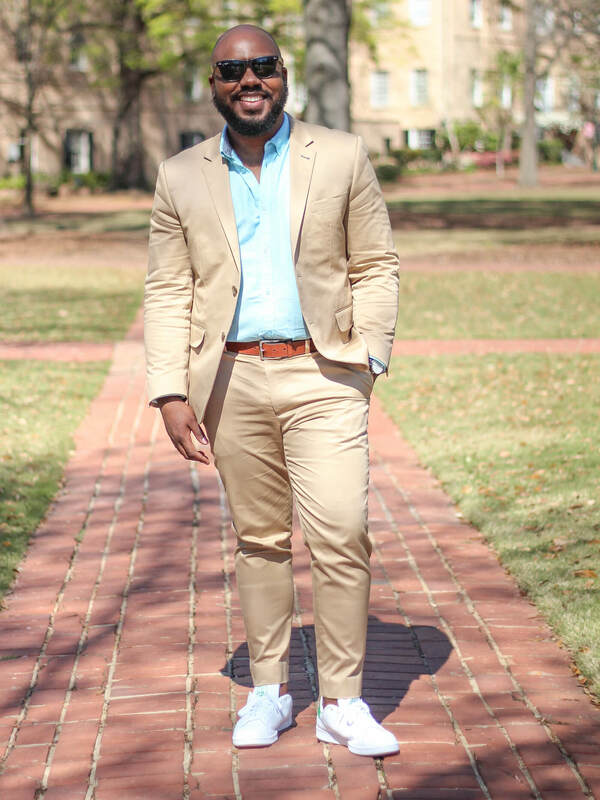 I personally like wearing all-white sneakers with suits; I think it gives a sense of casualness to a more formal look. When on a night out, I love to sport dark denim and a blazer. I mean, what guy doesn’t feel good in some well-fitting denim? It’s flattering on just about every body type and looks good with anything! Throwing on a pink Hawker Rye essential wash shirt and blazer says you’re mature and you’re here to have a good time. Lighter colors go well with dark pants and a light-colored jacket or blazer; it’s an undeniable combination of modern sophistication. I sported a fedora as an extra accessory to show my individual style. I’m a sucker for denim-on-denim. What makes this look even better is as purple tee―it helps break up the different denims. Sometimes you need to play around with some of your favorite pieces; you’ll be shocked at how they work out. Gray denim is probably just as, if not more, versatile that dark denim. 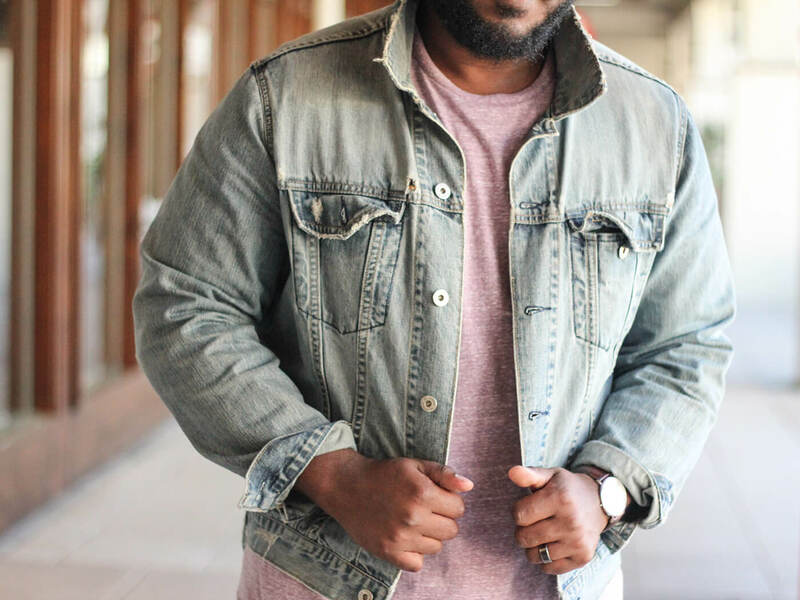 It can go with your lighter shades, you can dress it up or down, and it works as a great substitute for guys who aren’t ready to try white denim yet. My main goal on the weekend is be comfortable and wear things I am usually not allowed to wear during the workweek. Choose a fresh color you are comfortable with, make sure the color accents you and your style. Choose a style of top that is versatile and can be worn with different outfits. Don’t be afraid because you have a misconception for lighter shades. Just try it and keep it simple. Own it. When you wear it, feel it and be confident in it. Wear one lighter shade at a time. Don’t mix different ones in one outfit. When in doubt, pair with gray; it never fails. Patterns or prints of any kind. Bright colors (red, bright blues, greens or yellows). 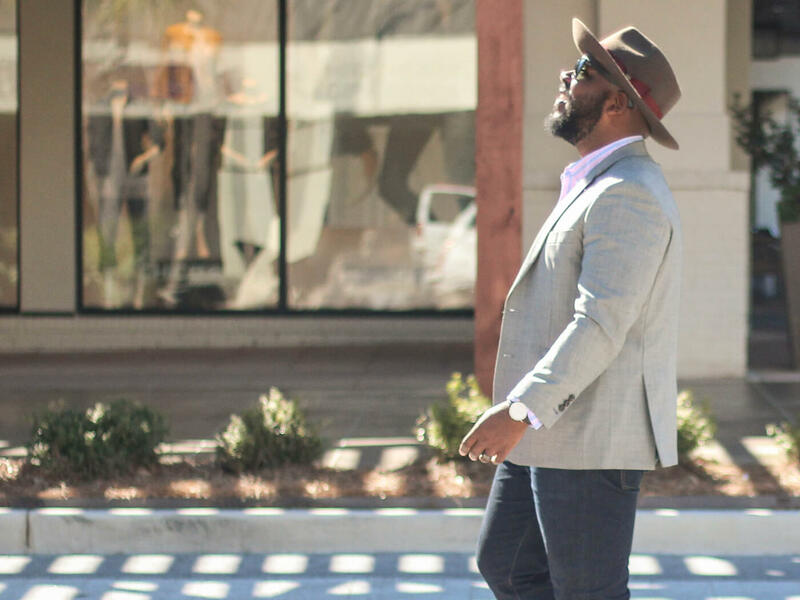 Get more style inspiration on the Notoriously Dapper’s blog.